Our flower gift bag is bold and colourful and makes a really lovely gift bag for your gift giving, almost like a present in its own right. As the bag can be used time and time again. Wonderful for keeping children occupied if attending a wedding, or family event or on a long journey. Simply fill the bag with crayons, paper, books, toys and little treats to keep them busy. 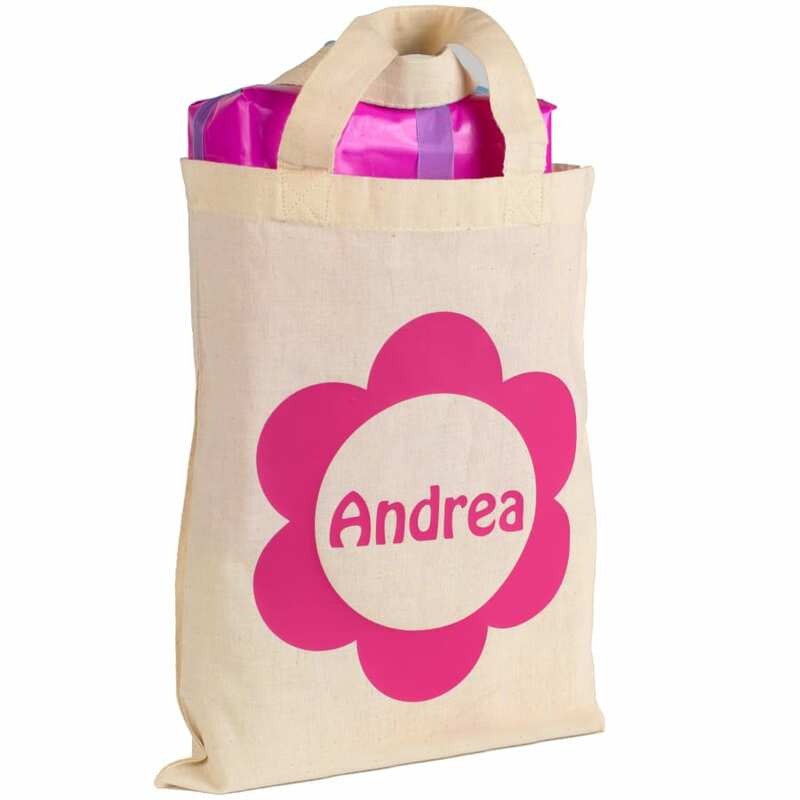 The bag is made from 100% natural cotton and comes in a choice of bag and and print colours so each bag is individual. Please be aware that the natural colour may have tiny flecks. Your chosen name will appear in the middles of the flower as shown illustrated on this page. Design works best with just the Christian name, however if you wish we can print both Christian and Surname. This would appear over 2 lines. There is no maximum character restriction and we can even print accents. The flower gift bag can be machine washed at 30 degrees. Please do not iron over the design. Iron on reverse.